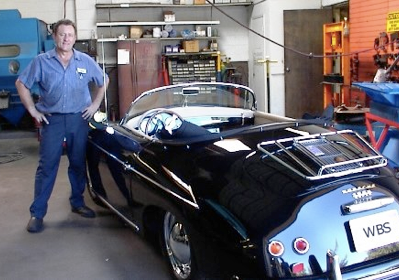 Owned and operated by Larry Warren, WBS offers the highest quality customer service and repair. With over 30 years of experience in the automotive industry, WBS maintains a top tier customer satisfaction rating. Honest business practices, quality repair work, and friendly customer service makes WBS the right choice for your next brake & suspension repair. 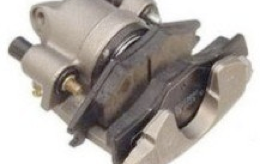 From the brake pedal to hydraulic brake fluid, brake master cylinder to power brake booster, drum brakes to disc brakes and electronic anti-lock brake sensors, WBS knows every part of your brake system inside and out. Any time you notice these symptoms (or any others), it’s a good idea to have your brakes checked. At WBS, if our inspection reveals they do require repair, we will explain exactly what's required, what’s optional and provide you with a written estimate before any work is done. Have you ever driven down the road and had the feeling that your car wants to turn when you want to go straight? That’s called pulling. Or maybe you hit a bump and the car kept bouncing, and bouncing. WBS can help! To maintain precise control, your car’s wheels need to be in firm contact with the road at all times. That’s where your suspension system comes in. It needs to be able to absorb bumps smoothly and steer properly, which in turn requires a fully functioning suspension system with proper wheel alignment. That’s where over 30 years of WBS expertise can help. Whether your vehicle has a conventional suspension system with shock absorbers or a strut-based system (which is typical in many front-wheel-drive cars), WBS has the know-how to diagnose and repair any problem. We also have the equipment necessary to correct any alignment issues we might find. Think you have steering or suspension problems? Beside pulling and bouncing, telltale signs include uneven or excessive tire wear and poor steering control.